Many communities hold local 5ks or walks to raise money for the fight against breast cancer. Now a Utah-based adventure company is teaming with Susan G. Komen for the Cure Salt Lake City to raise money through rafting. It all started when a reservationist at Moab Adventure Center in Utah discovered she had breast cancer. Instead of running or walking to raise money and awareness about breast cancer, company founders decided to organize a rafting excursion instead. 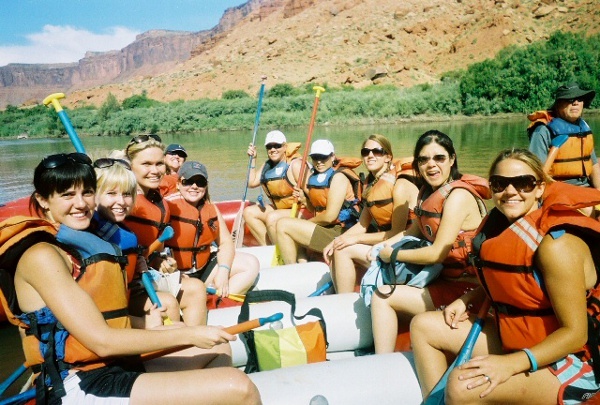 Now in its third year, Raft for the Cure welcomes adventurers from around the world who participate in the day’s events, which include river rafting on the Colorado River, a buffet lunch, a barbecue dinner and live concert, a commemorative t-shirt, and transportation to and from the river. Proceeds from the event are donated to Susan G. Komen for the Cure Salt Lake City. Last year the event raised more than $12,000. This year, Raft for the Cure will be held June 26, 2010. Space is limited, so interested participants should register soon to reserve a spot. Registration is $100 for adults and $85 for children 5-15. People who would like to participate in off-river activities can pay a la carte for a t-shirt and the barbecue dinner. Use your athletic abilities to raise money and awareness with these 50 walking, biking and running events.